Visit GlendaleTRA.com for a chance to win $100. Glendale is reimagining the bus network to create customer-focused routes, faster and more reliable travel times, and less waiting at bus stops. 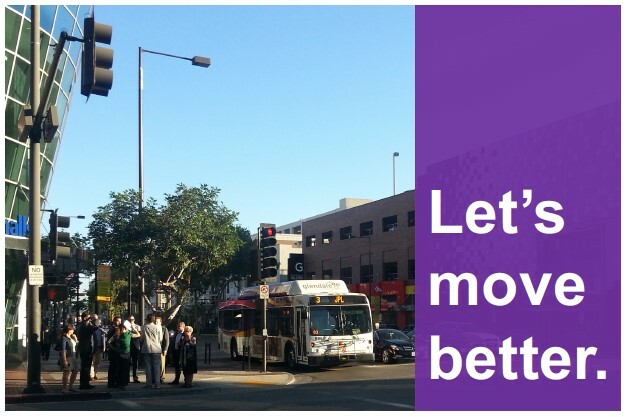 We invite you to tell them how they should reimagine our bus network in Glendale. An improved bus system will benefit you: save time and money on parking, gas, and car maintenance; help green our world by reducing emissions and congestion; use your time on the bus to read or catch up on sleep. Take the survey at GlendaleTRA.com. You could be a lucky winner of $100. Then spread the word – tell friends, family, and colleagues to take the survey, too.